Challenge Question #3: Win a Magoosh Account! 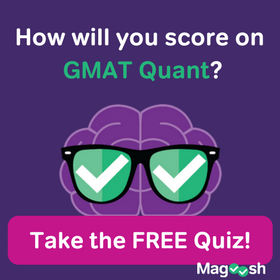 Round 3 of our challenge question + free Magoosh series. Today, we’ve got a ‘Hard’ SC problem for you to tackle. Submit an answer and an explanation in the comments by 2PM Pacific Standard Time on Thursday, and we will pick the comment with the best explanation as our winner. You can also comment on the post on our Facebook page. The winner will receive a free Magoosh account! Comments will remain hidden until we release the answer and the name of the winner, so don’t worry– if you submitted an answer with an explanation, we can see it, even if it may not show up on the post for you! The answer will be posted on Thursday, after our winner is notified. Good luck! If Rome did not fall, the Dark Ages had not been so severe throughout Europe. Update: Congrats to our winner, Ranjit! Explanation: This statement is talking about a hypothetical scenario. This is what is called a third conditional, talking about a past event playing out differently in a hypothetical scenario. For this, the condition, the contrary-to-fact verb, should be in the past perfect, “had not fallen“. The result verb should be in the conditional past — “would not have been.” The only choice that has both of these correct is (C), the answer. Challenge Question #1: NEW! 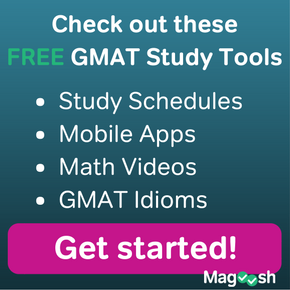 Win a free Magoosh GMAT account! Rachel helps eager students find out about Magoosh. She graduated from UC Berkeley with a super helpful double major in History and French. In her free time she can be found eating peanut butter, drinking five cups of tea per day, and playing with cats. 9 Responses to Challenge Question #3: Win a Magoosh Account! I think the correct answer is option (b). One can arrive at this answer directly or even simpler, by eliminating the obviously wrong options. The simplest way is probably to shortlist the best contenders by the process of elimination. Options (a), (d) and (e) are on the fact of it, flawed. That leaves us with options (b) and (c). (c) complicates the sentence construction. Hence, option (b). Ans: (c) is the right answer. Here, If clause is past perfect, therefore then clause should have would+have+verb arrangement. Ans: (b) is the right answer. Here, If clause is conditional, therefore then clause should have would+have+verb arrangement. No explanation just hope the answer is correct is enough for me. I will take a shot at this. 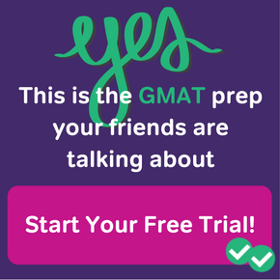 Since I only have 10 days until the GMAT, I hope I am right. implies “Dark Ages” came before the fall of Rome, and the 2 clauses are connected ambiguously. This is probably correct since it connects the 2nd clause in future conditional tense with the condition being of what happened in the first clause presented in simple past tense. “had not” implies it occurred before something in the past tense which does not exist in this sentence. Rome is singular and were is plural. (C) is the correct option. Explanation: Its a past tense “if…then” construction and choice C is the perfect winner. Option A: As both events are in past so the former event should be written in a past perfect tense and the latter one in simple past tense. Option B: Here, the past tense “if…then” construction doesn’t fit. Option D: Passive voice and used incorrectly with ‘if’ sentence. Option E: Incorrect passive voice. You’re our winner! 🙂 I just emailed you with instructions to set up your free account.